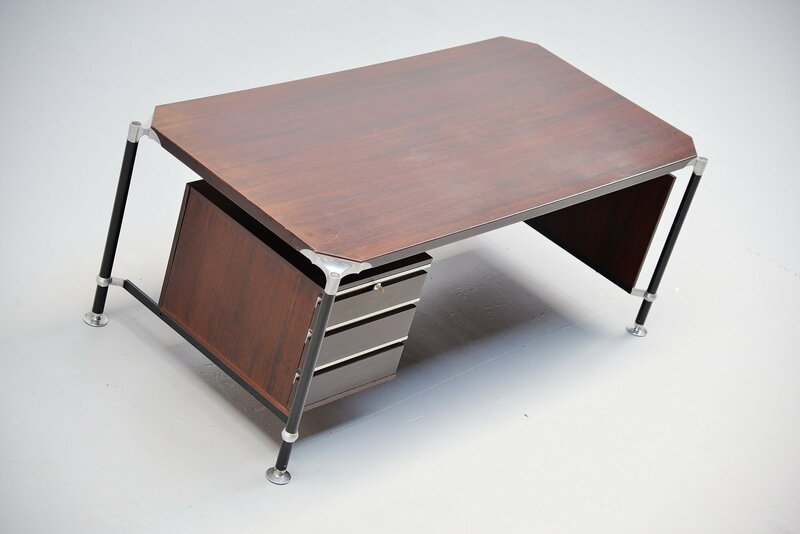 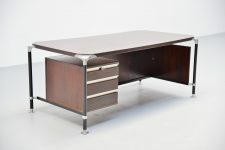 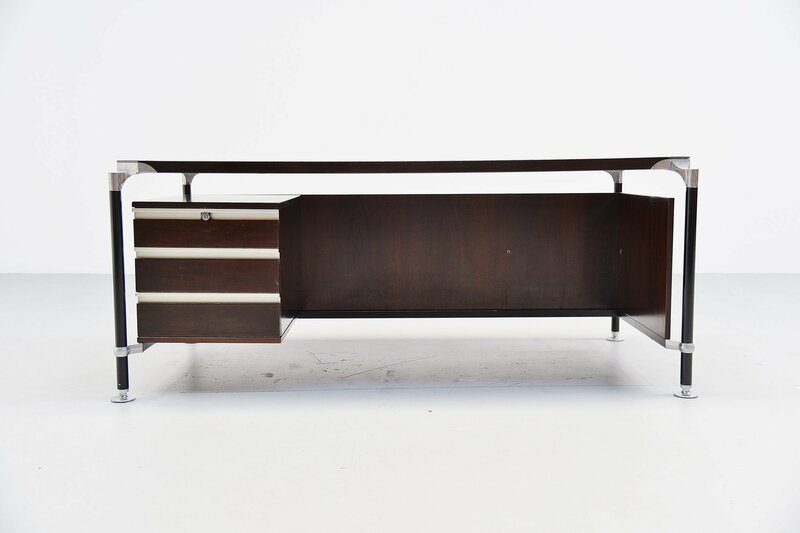 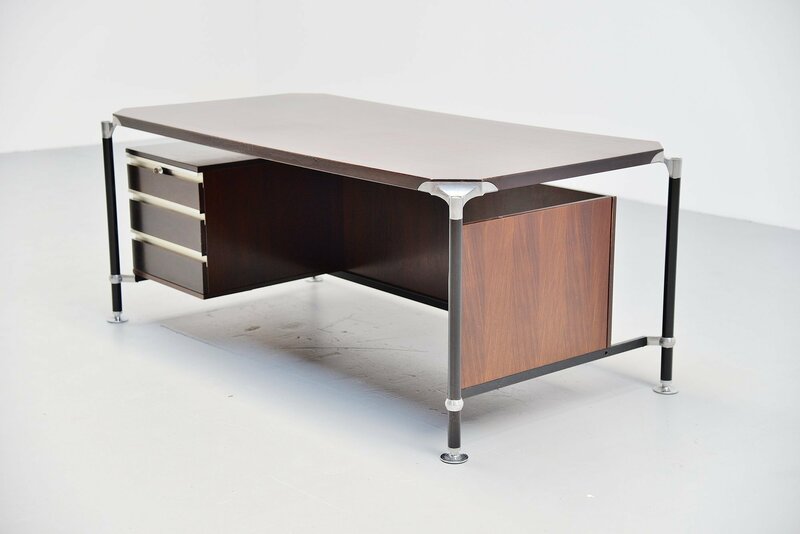 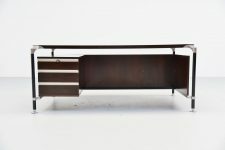 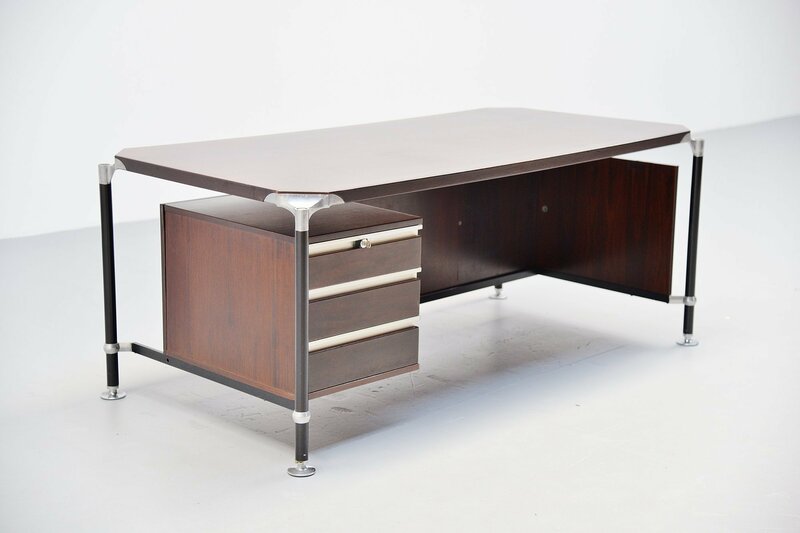 Very nice desk designed by Ico Parisi and manufactured by MIM Roma, Italy 1960. 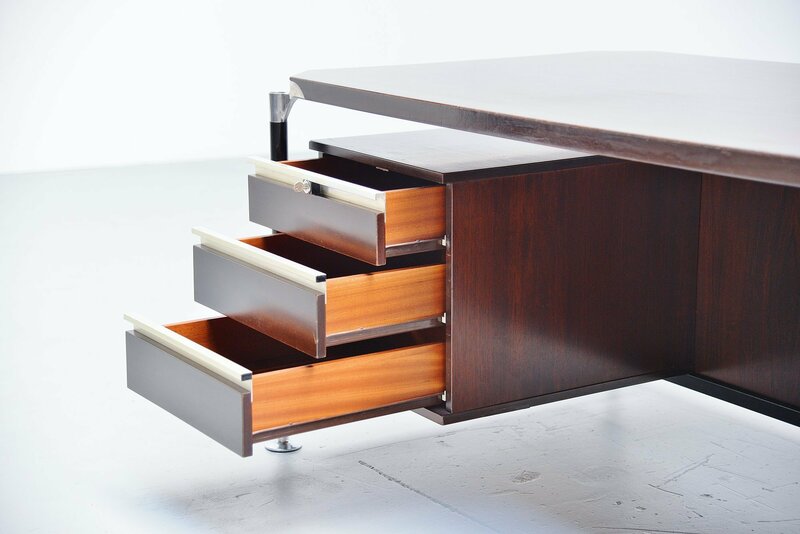 This large desk has 3 drawers in the storage part on the left that can be closed with key. 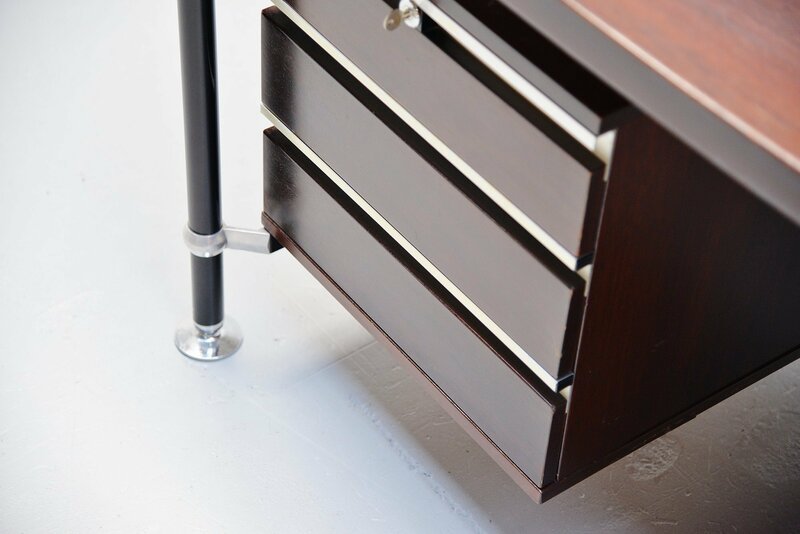 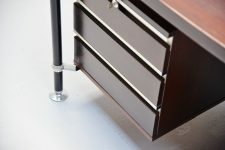 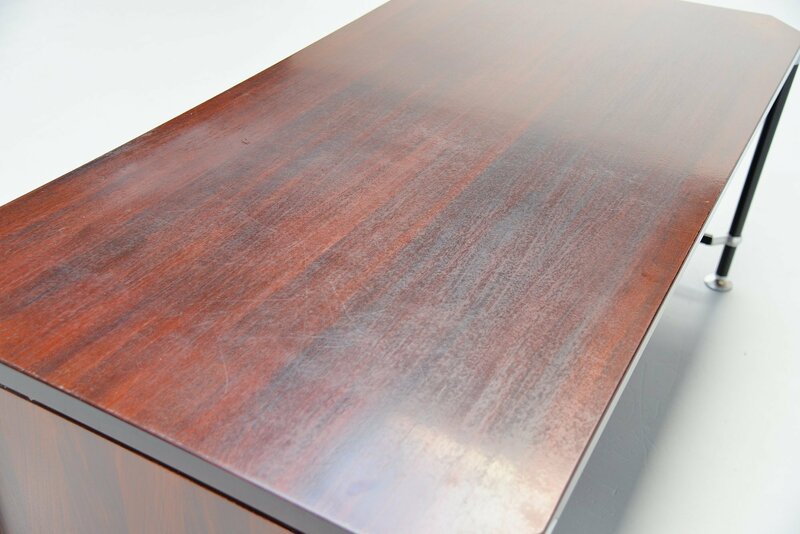 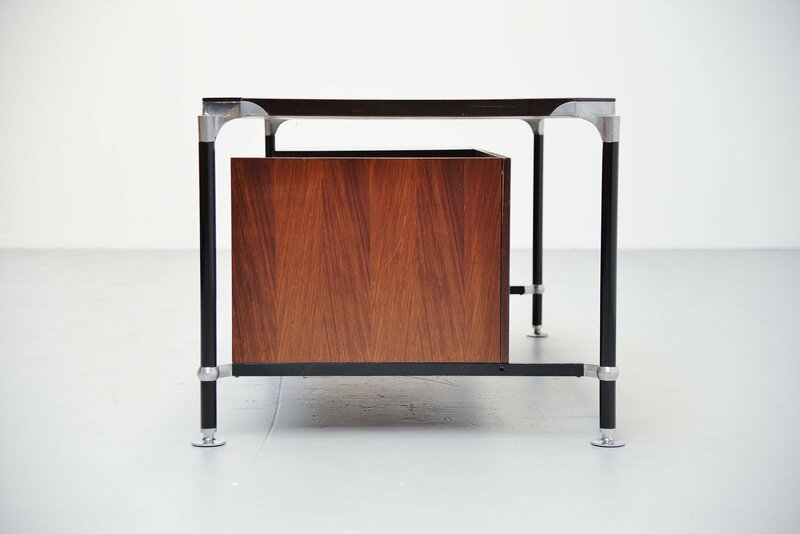 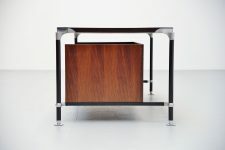 The desk is made or rosewood, has black painted metal legs and aluminium feet and details. 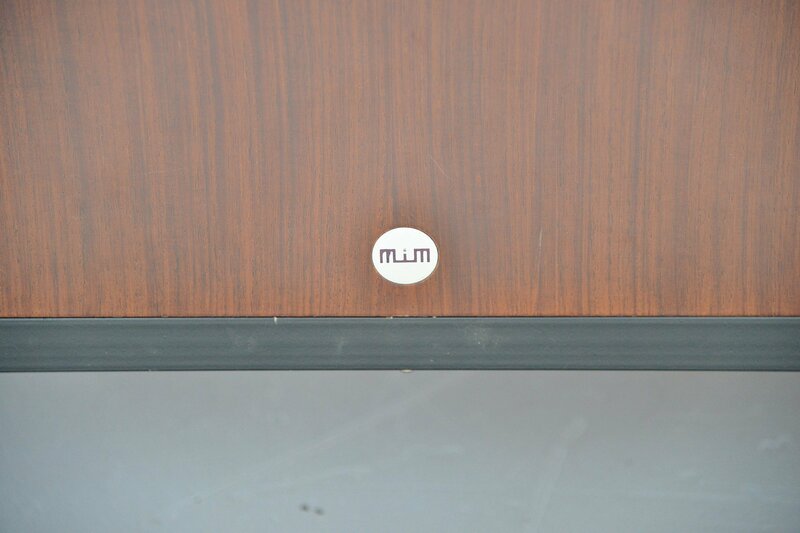 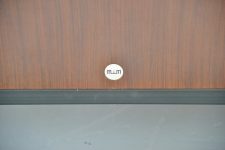 Marked with the metal MIM tag as well. 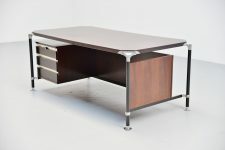 The desk is in original used condition with surface wear to the top, can be fully restored upon request. 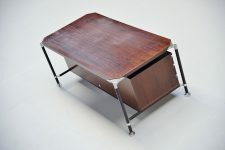 Very nice shaped and functional desk.